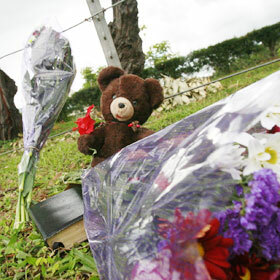 FROM KAUAI TO TEXAS » A roadside memorial consisting of flowers, a Bible and a stuffed animal was put along the fence of the Princeville Airport yesterday after Thursday's fatal crash that claimed four lives and left three critically injured. A trio dies and their spouses are injured in the Kauai accident. Farrington will add security next week to maintain calm. The voyaging canoes finish their Polynesian pilgrimage in Satawal. Hawaiian hero led the way with a string of sports firsts. The six-week season is being observed by Christian congregations with guest speakers and musical and meditative programs. UH has no answer for Arizona before its game is suspended. If this were a multiple-choice test, the Hawaii volleyball team would ace it. Bernice Spalding's family is eager to "move on and do other things." The buyer and seller of the Wyland Waikiki Resort are alleging breach of contracts. The sponsor of the annual fairs has asked the Legislature for a grant to keep them going.